When Bruce Sterling wrote his Cyberpunk manifesto in 1986, much of the original Movement’s radicalism had already been diluted, either by success (and shift to mainstream) or by its member’s continuous search for other modes of writing. Also, there has in recent years been much controversy of who belonged to the Movement, for whom the label does or did not fit and what to do with sf since the oft-proclaimed demise of cyberpunk. The answers are manifold and contradicting. However one views individual works and participants though, one thing is certain, as Michael Levy points out: “The cyberpunks were indeed the biggest thing to hit sf since the New Wave, and they did change the field significantly” (153). Writing as authors “steeped in the lore and tradition of the SF field”, cyberpunks like Sterling claimed that the 1980s were a “truly science-fictional world” (x) “the realm of high tech, and the modern pop underground” (xi) met and joined. Accordingly, cyberpunk prose was harder, more radical and subversive, seeing technology not as the ultimate love affair of science fiction but as invasive and visceral – engulfing the human and threatening to swallow him whole. 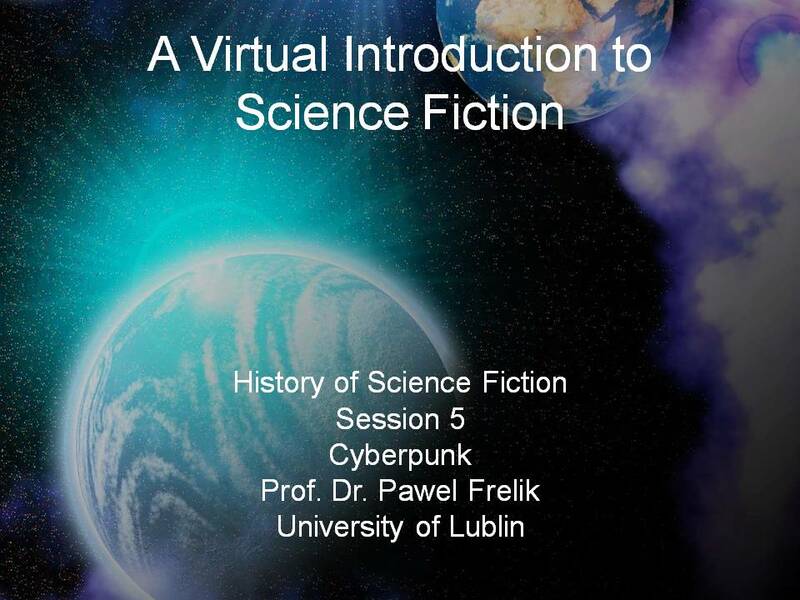 The introductory essay “Cyberpunk – 1980s and 1990s” by Prof. Dr. Pawel Frelik will soon be available for download here. Cadigan, Pat. “Pretty Boy Crossover” (1986) – pages 587-97. Cadigan did not originally belong to the Movement, but was later adopted into the cyberpunk canon – as one of the very few female writers. Gibson, William. “Burning Chrome” (1982) – pages 547-65. This short story has everything that makes Neuromancer such a wonderful novel, only in shorter and more condensed form. It deals with street punks living illegally by using cybertechnology to break into other people’s account data. The livid prose style, the hard characters, cyberspace – it is all here. Sterling, Bruce. “We See Things Differently” (1989) – pages 611-29. An unusual piece that neatly emphasizes the variety and scope of cyberpunk writing and completely opposes some of Sterling’s manifesto statements. This story is eerily prophetic about the US-Arabian clash of cultures and the resulting war. If you have the time for a novel, you need to read this book. It envisions a dark sprawling megaplex of cities in which street-wise characters try to eek out a living by all means available. It’s storyline is that of a film-noir thriller whereas its aesthetics are punk and industrial displaying a grimy near-future world. Levy, Michael. “Fiction, 1980-1992.” The Routledge Companion to Science Fiction. Eds. Mark Bould et al. London: Routledge, 2009. 153-62. Print. Sterling, Bruce. “Preface.” Mirrorshades – the Cyberpunk Anthology. Ed. Sterling, Bruce. New York: Ace Books, 1986. ix-xvi. Print. Frelik, Pawel. 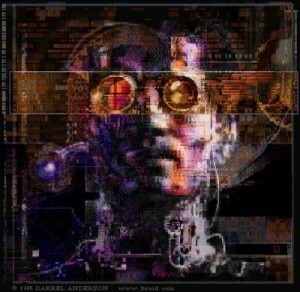 “Cyberpunk (1980s–1990s)”. Video Lecture. A Virtual Introduction to Science Fiction. Ed. Lars Schmeink. Frelik, Pawel. “Cyberpunk – 1980s and 1990s”. A Virtual Introduction to Science Fiction. Ed. Lars Schmeink. Schmeink, Lars. “Cyberpunk”. Web Page. A Virtual Introduction to Science Fiction. Ed. Lars Schmeink. Web.